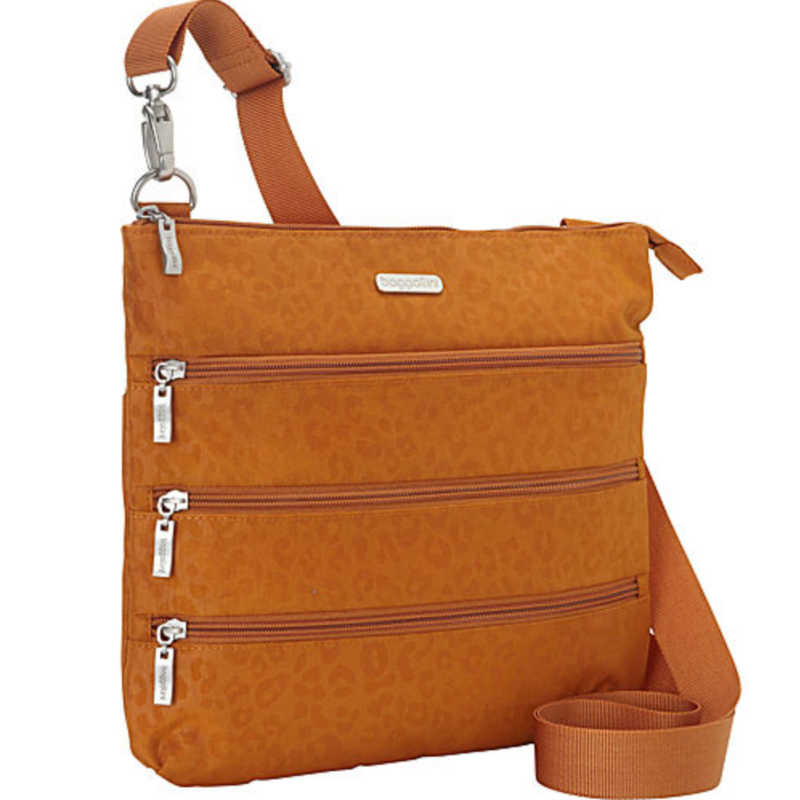 Stay neat and organized toting your goodies in the baggallini Cheetah print Big Zipper Bagg! This sleek and comfortable cross-body day bag is made of lightweight, water-resistant crinkle nylon and features a large main compartment for your billfold, checkbook, and cosmetics, one pocket in the back that stays closed with a hidden magnet, and three secure, zippered outside pockets, one an organizer pocket for keeping your cell phone, pens and pencils, and other small necessities neat and handy. The baggallini Big Zipper Bagg has a removable, adjustable strap and is perfect as a purse, a day bag, or an overnight bag! Sleek cross body styling that comfortable to wear.